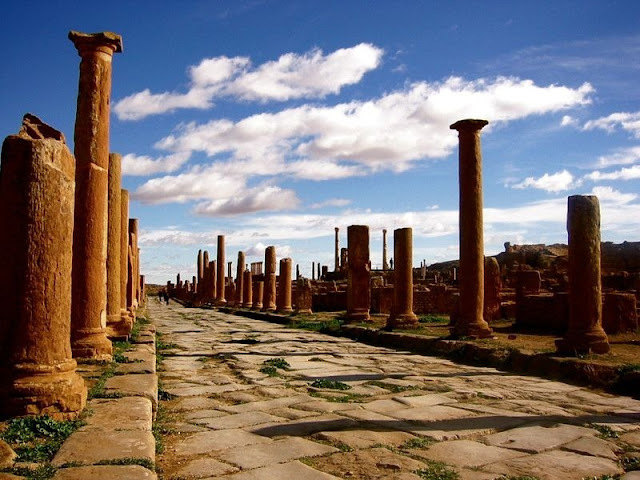 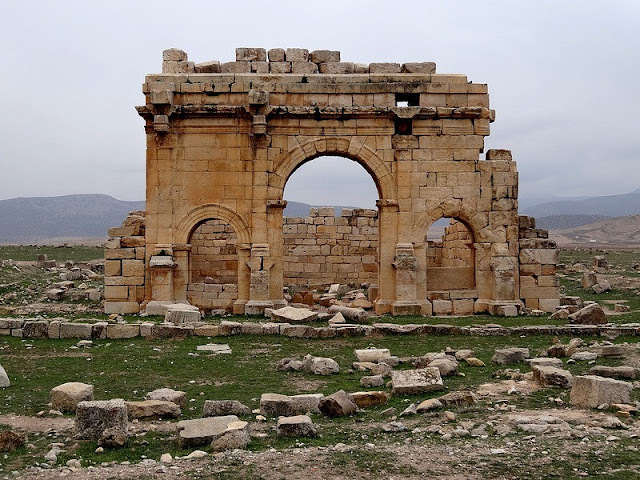 The ancient city of Timgad is located to the north of the massif of the Aurès in a mountainous site of great beauty, 480 km south-east of Algiers and 110 km to the south of Constantine. It represents a remarkable example of a Roman military colony which was created ex nihilo. 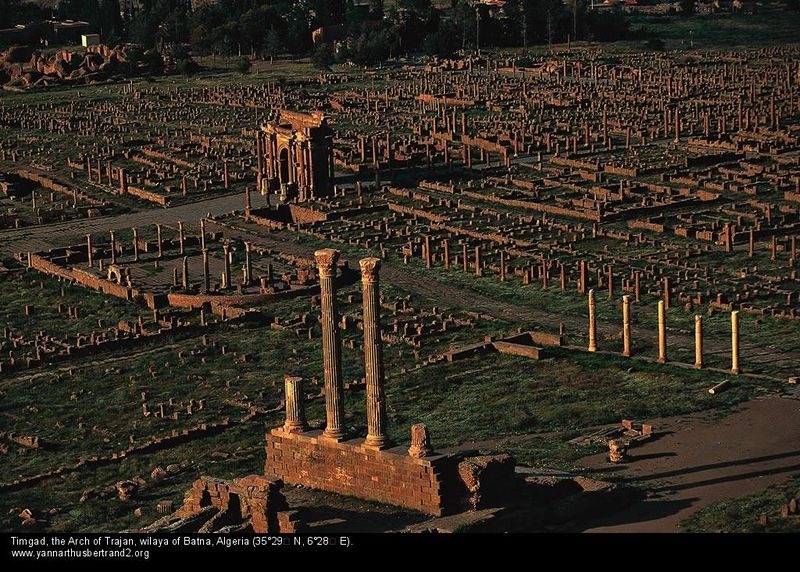 Colonia Marciana Traiana Thamugadi was founded in 100 A.D. by emperor Trajan, as an encampment for the 3rd Augustan Legion and it was meant to serve as a defense position against the Berbers which were attacking from the Aures Mountains. 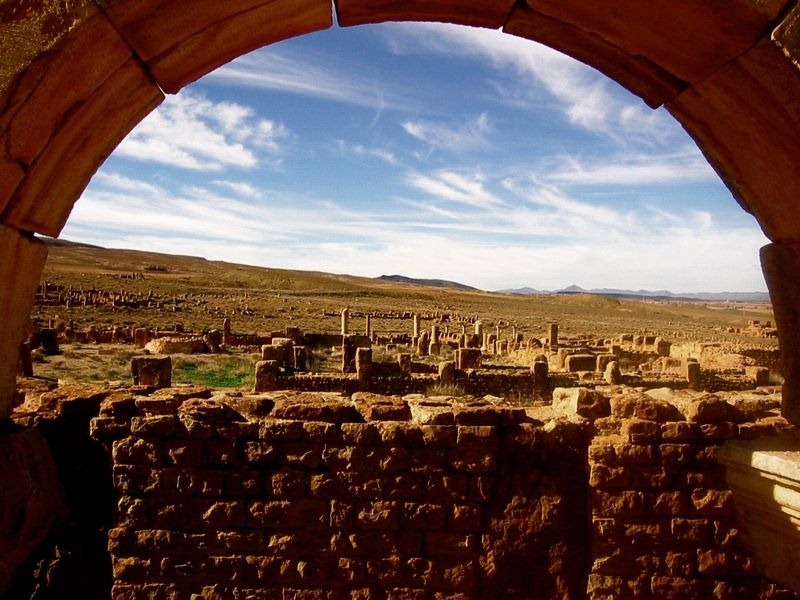 The first residents of this colony were mostly Parthian veterans of the Roman army that received land as payment for their years of service. 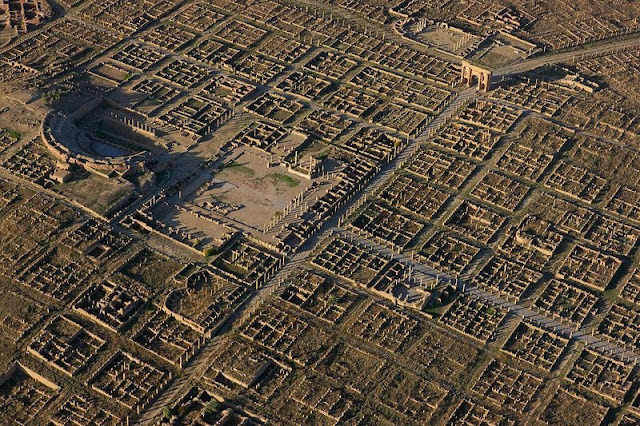 Timgad follows the guidelines of Roman town planning, a remarkable grid system. 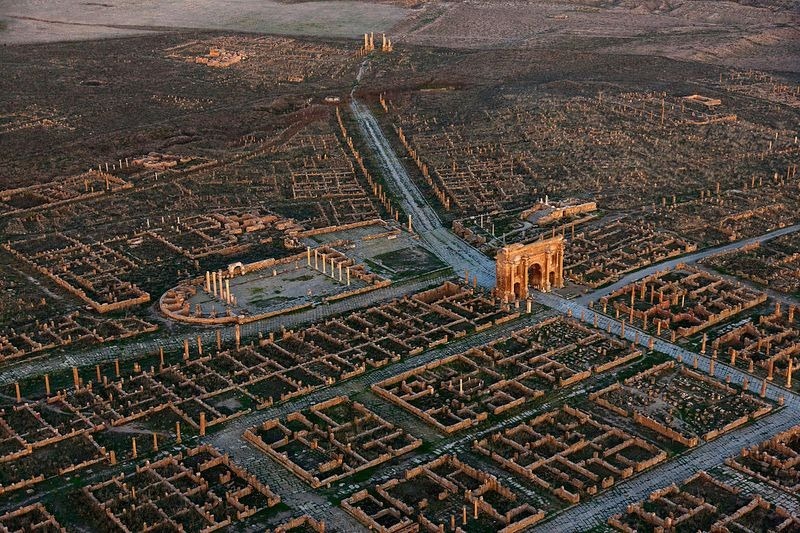 It has an orthogonal street design based on the cardo (north–south-oriented street) and decumanus maximus (east-west-oriented street). It is a typical example of an urban model, a model which is still used today. This speaks a lot about Roman ingenuity. 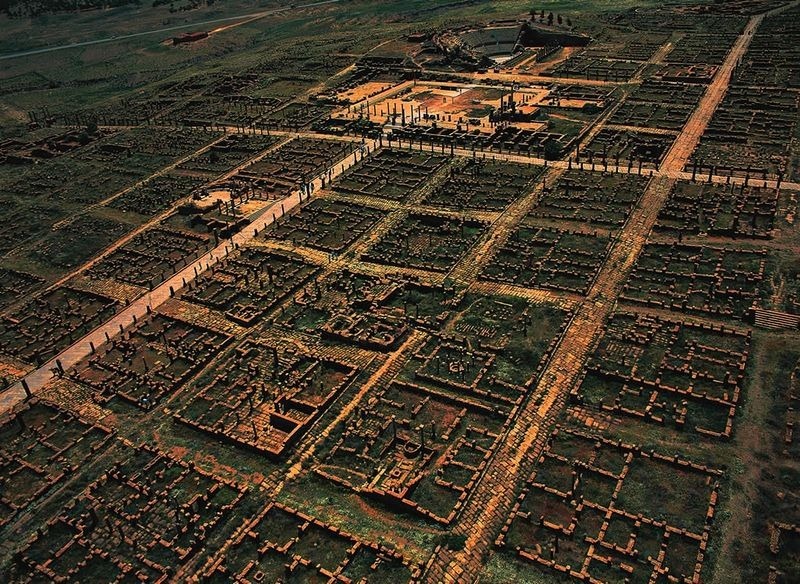 The basis of this building model is the military encampment, the predecessor of the city of Timgad. By the sixth century C.E., Timgad was burned to the ground by local Arab tribes and eventually sank into oblivion for over 1,000 years. 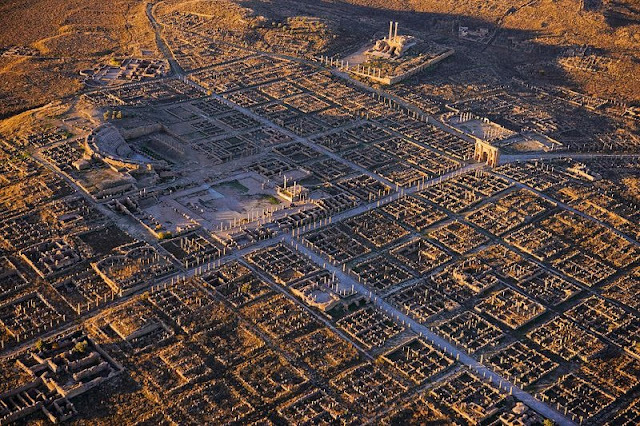 Luckily, the dry desert air and sands have preserved the city in great condition. Timgad has a temple dedicated to Jupiter, with similar dimensions as the Pantheon in Rome. 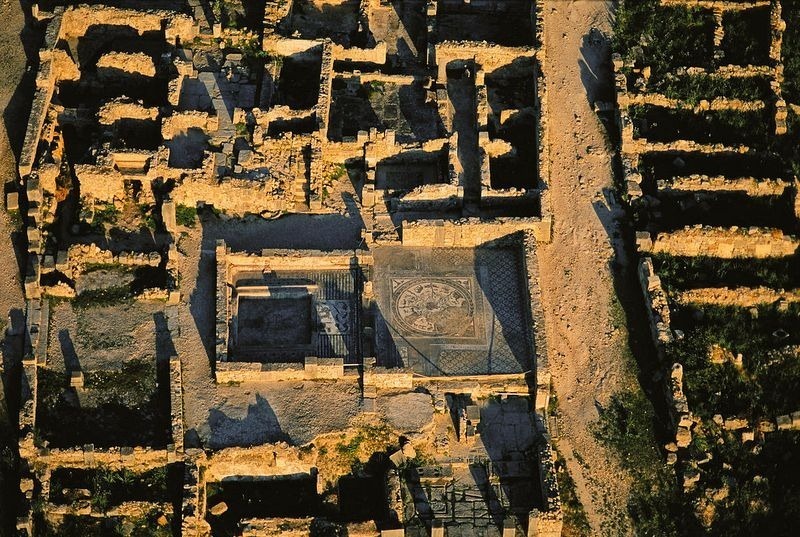 There is a large Byzantine citadel standing to the southeast of the city. 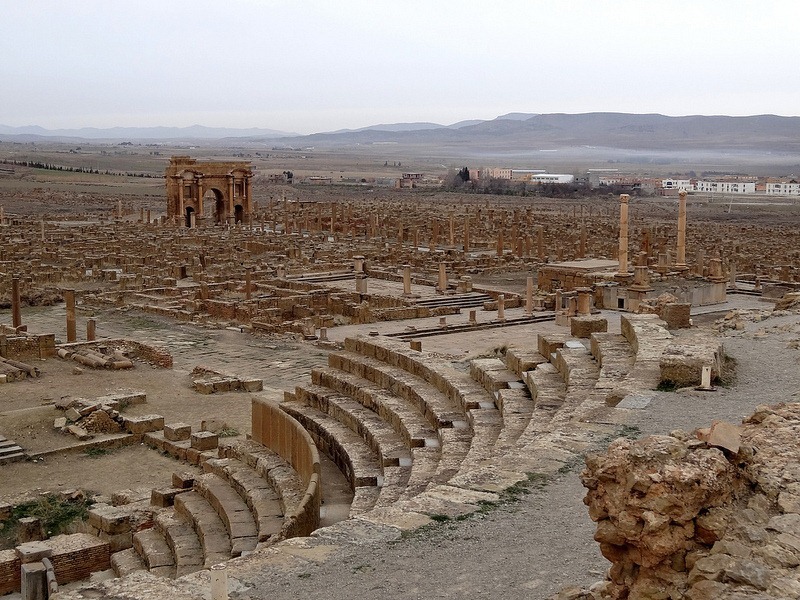 One of the highlights of the city is a 3,500-seat theater in good condition. 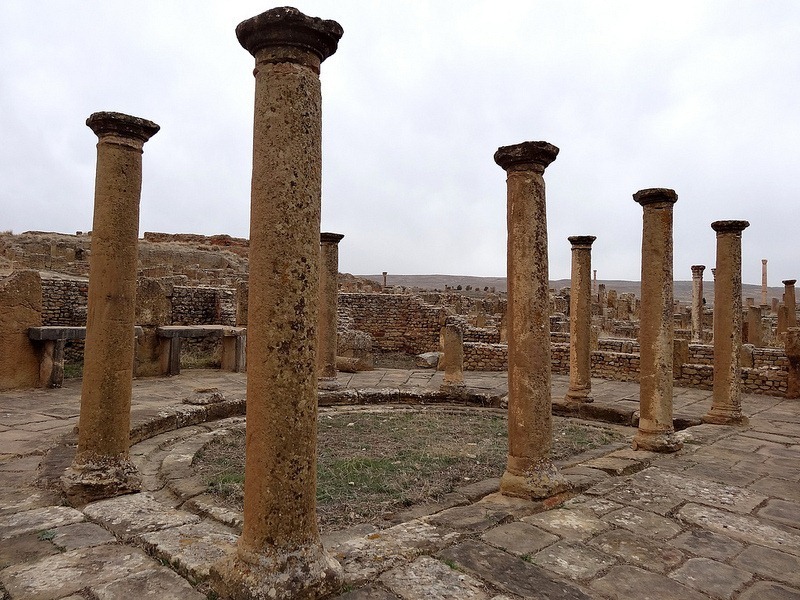 There is also a library, a basilica, and four public bath houses.